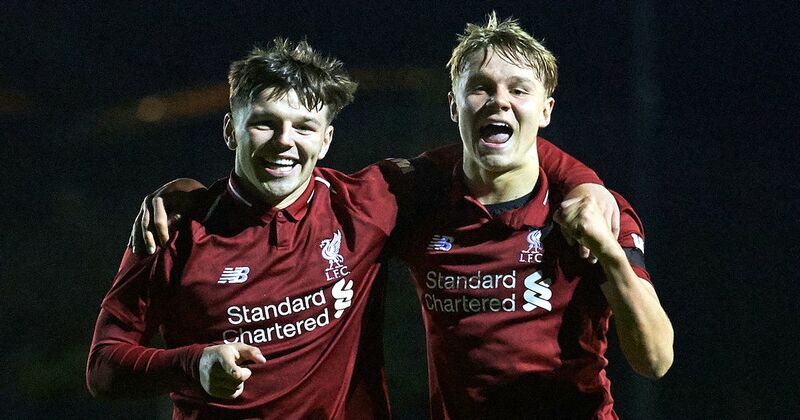 Before jetting out to Belgrade in the morning, our Liverpool FC correspondent James Pearce speaks to Paul Wheelock for our latest Academy Show podcast. And just how promising is the partnership between Paul Glatzel and Bobby Duncan (pictured)? James also pays tribute to the man tasked with filling Steven Gerrard's sizeable boots as well as looking ahead to the highly rated side's UEFA Youth League encounter with Red Star on Tuesday afternoon. Read More While the first team were drawing 1-1 at Arsenal on Saturday to move - albeit temporarily - back to the top of the Premier League, Dominic Solanke was playing and scoring as the Under-23s returned to winning ways. James answers those questions and also talks the new manager in charge of Liverpool FC Women. You can also find our daily podcasts in the Anfield+ section of the LFC ECHO app.